Darren Clark during the first round of the Tswane Open at The Els Club, Copperleaf in Centurion. 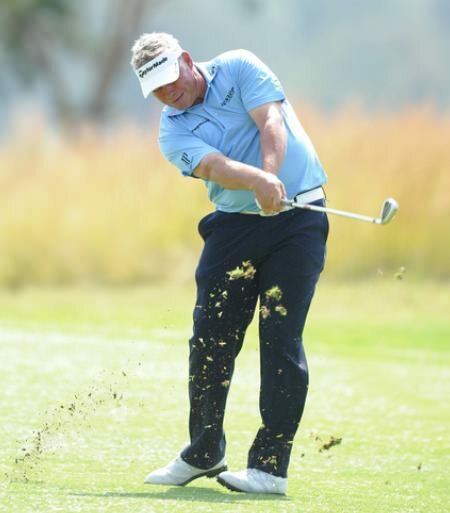 Photo: Catherine Kotze/SASPAFormer Open winner Darren Clarke showed signs that he is recovering from his slump but it was Damien McGrane who topped the Irish contingent after the opening round of the Tshwane Open in South Africa. As Clarke, now 164th in the world, opened with a three under 69 at at Centurion, McGrane hit a 68 to hime boy Darren Fichardt by just three shots. 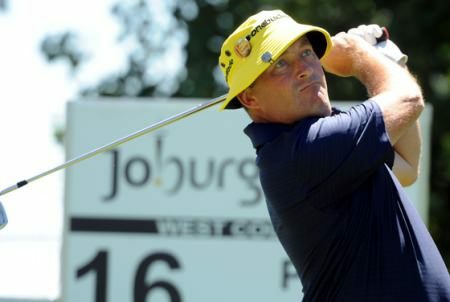 The Pretoria native had eight birdies and a bogey in a seven under 65 to lead by one from Sweden’s Björn Åkesson. But Clarke and McGrane will go into today’s second round with high hopes that this week could signal the beginning of the week for the recent struggles. McGrane, who is 113th in the Race to Dubai, brought his birdie haul for the day to five when he picked up shots at the last two holes to share ninth place on four under. Clarke, 44, was also chipper after a bogey free 69 on the Ernie Els-designed Copperleaf course. Typical of that was the 14-footer Clarke missed for a birdie on the 18th green when one fewer than his 31 putts in the round would have lifted him into the top 10 on the leaderboard. But, talking positively, he said: “I’m happy with the way I’m swinging, I’m just not that happy with the way I’m scoring. “I need to get a couple of rounds where the putter gets hot and I can put up a couple of really good scores. Peter Lawrie had three birdies and four bogeys in a 73 to lie 100th on one over with Waterville’s David Higgins (74) tied for 119th and Michael Hoey (75) four shots outside the projected cut in 129th. 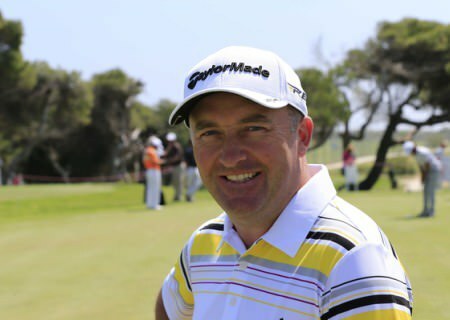 A smiling Damien McGrane at last month’s Spanish Open. 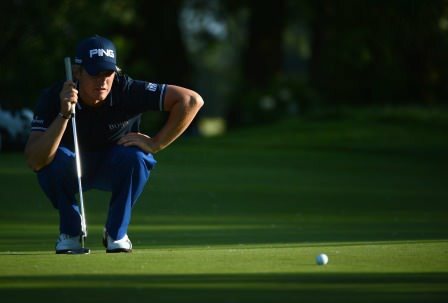 Picture: Eoin Clarke www.golffile.ieDamien McGrane rediscovered his putting touch and revived his flagging season as a superb 66 sent him soaring to the fringes of contention in the Volvo China Open. Tom Lewis returned to form with a bang in Austria. 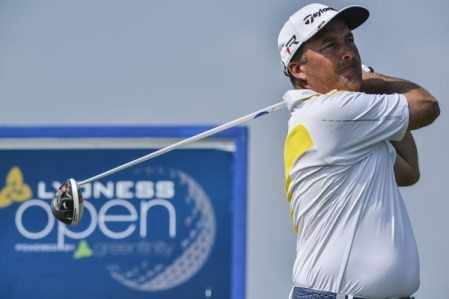 Picture by Getty Images.Damien McGrane shot his fourth successive sub-70 round as England’s Tom Lewis opened with a nine under 63 in the Lyoness Open powered by Greenfinity.